Advanced Technology Group is a management and technology consultancy focused on optimizing business lifecycle. "Great Partnering - Not Just an Implementer"
ATG was a true partner. We needed to keep the scope of the project limited and they knew that upfront. There was no attempt to on their part to expand the scope or drag out the project. They were accommodating of our change requests and were very professional at keeping us aware of the hours remaining on the project and helping us to balance the changes that we wanted with our targeted budget. We knew and expected a change in the development (technical) resource after the initial scoping and design would happen. However, as the project progressed, getting access to that original resource to understand some of the initial configurations took a little longer than we would have liked. We had a unique budgetary need that was not normal for a project like this. It required a high level of trust and partnership that rarely works in this industry. I assumed we'd clash multiple times during the project and that the experience wouldn't be very pleasant. I couldn't have been more wrong. An amazing engagement. ATG truly puts the customer first! The people were the best part. ATG's staff were friendly and knowledgable. We felt like we were teammates and partners with them from day one. There was never a point where we felt we weren't in the hands of a top tier service provider. Although we were able to manage with video conferencing and instant messaging, ATG is located out-of-state. The distance between us meant we didn't always have them handy if we needed them on-site, and on-site visits had to be planned ahead of time. Additionally there were travel costs associated with on-site visits. Use ATG! There is no way we would have gone live with our project without their assistance. They were honest domain experts who partnered with us every step of the way. What Quote-to-Cash Consulting solution do you use? Evin was a pleasure to work with always prompt, polite, knowledgeable, great strategist. I was not here early on so I do not know about the upfront negotiations and what some of the requirements initially created. Felt at times we were being strung along to get more pay, Some of the negotiations on the amount of time and cost were not what we requested and were pushed to maximize the ATG dollars. "Great Working Experience with ATG"
We worked with Mitch Colyer and Samuel Mandell at ATG who were great to work with. They are very knowledgeable and delivered tasks on time. They are easy to contact with any issues we may experience and are very helpful. I would definitely recommend ATG to others. There is nothing that we disliked working with ATG. Any issues we experienced were directly with Aria and if anything ATG helped resolve those issues or offered a solution. I would recommend ATG's services to others. Very professional and knowledgeable consultants who are great to work with. The thoroughness and professionalism that ATG has brought in their approach has been wonderful. We have multiple projects occurring alongside everyone's regular day job, so ATG's ability to guide the process and make sure all the points are hit has lifted a burden from my team. Honestly, nothing stands out. The worst thing so far is that their attention to detail has resulted in me being constantly pushed to stay on top of things. But that's probably a good thing. ATG resources were dedicated to doing what it took to get the job done during during a challenging implementation. The ATG resources were always there to explore possible options and workarounds to make the project a success. We had to keep changing some of the ATG resources out over the course of the 2 year project (which I should add is probably to be expected). ATG worked with us to make those transitions as seamless as possible. Timelines have sometimes extended past when they should due to availability of resources. In part due to the rapid changes with Steelbrick CPQ & Billing after the acquisition by Salesforce making it difficult to ramp up new resources quickly. We are also working on a complex implementation across one-time, subscription, and usage-based models. Our project team from ATG was comprised of some incredibly skilled, and personable talent. I was extremely impressed with everyone involved on the project in terms of their professionalism and in-depth knowledge of Salesforce CPQ. Being completely honest, there wasn't anything that I disliked. They did a fantastic job. I sincerely recommend using ATG - feel free to ask for customer references and you'll hear great feedback. ATG has a large team of very professional and experienced consultants. They are very responsive to feedback and collaborative. ATG has a team of less experienced resources but do an excellent job with mentoring and training these consultants to engage and support projects independently. There is nothing I dislike about ATG. When I have concerns, I express them and they work with us to address and resolve them. "Adaptable Listeners that Work Hard to Meet Challenging Requirements"
ATG's flexibility in accepting late changes and finding a way to accommodate them within the plan. The level of custom configuration required within Saleforce CPQ and the resulting complexity in creating quotes. Spend more time up front confirming requirements and ensuring they understand the needs of your business and the required outputs from CPQ before you begin the implementation phase in earnest. "Our go to Consulting firm for anything under the Q2C sun..."
Depth of experience, broad industry knowledge, no vendor lock-in, quality of staff and on-shore model. They are growing quickly, and while their foundation is very strong, expect many new faces as they continue to ramp and scale. They are also just expanding globally, so if you expect accenture type levels of global talent, that is not their space (yet). The end result of our business objective. Also the design phase was painless with their provided templates and discovery. At times a bit rigid on new requirements that came up after design phase. "ATG Billing training and consulting services "
The collaborative working culture, whether it's a client or partner. The value ATG brings to the table on every project they take up. Strong relationship and partnership they strive for. Can't think of any that I dislike. May be a bit on the higher side from a cost perspective but it is all worth it. Trust the relationship. Build a mutual strategy and common goals working on the scope and budget. Leverage the expertise. We have been successful in both turn key as well as staff-aug models but find the best fit for your project. "Salesforce Q2C (CPQ and Billing) Expertise." I liked their ability to understand our business and to design a solution that worked for us. ATG are experts in implementing Q2C. I would recommend them to any company. "Trusted advisor for the last 5 years, and hopefully forever"
Quality and Reliability - whoever ATG staffs on a project, we are guaranteed that they will contribute relevantly, maturely and professionally.. On time and on budget. Their location - while Missoula is beautiful, if they were on the East Coast, we would use them more, I suspect. Tom and Claude and Holly and Kym are wonderful business leaders. That I am not yet an employee.I would be honored to become an intern or a consultant for ATG. "Great Culture, Great Partner "
The family style atmosphere they display and ability to provide value in every interaction. Not to mention their amazing events! Not much I can say here - I have yet to find any sort of issue or problem throughout our relationship. 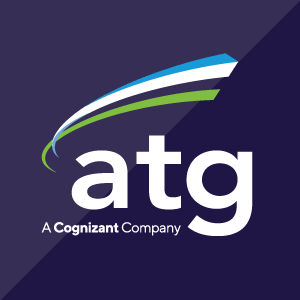 "Very knowledgeable and experienced consulting partners"
ATG's experience of implementing more than 50 CPQ projects helped us to revisit our quoting process and improve some logic. They helped us to understand the capability of tool and also understand the limitations. There changing team and remote location was little bit challenge but our project also kept extending because of revisiting initial requirements multiple times. The thorough questions and strong desire to understand our business, products. I have no comments around dislikes; I enjoyed our engagement with ATG. The team was very flexible and willing to work with all involved parties. There is sometimes too much flexibility and more focus should be on best practices. They are good to work with and would definitely recommend them as a vendor. Do know we utilized them remotely. "Project on time & on budget"
"Unbelievable Partner - Best at what they do!" Unparalleled experience, and they are a wonderful partner. I feel smarter after every engagement with them. That I don't get to work with them as much. They should include Avalara in every engagement! * We monitor all ATG Consulting reviews to prevent fraudulent reviews and keep review quality high. We do not post reviews by company employees or direct competitors. Validated reviews require the user to submit a screenshot of the product containing their user ID, in order to verify a user is an actual user of the product. Hi there! Are you looking to implement a solution like ATG Consulting?